Please help us get some truth in labeling. We are guessing that since you have come to our website that you have at least some interest in bison, you probably understand how important these majestic beasts are to this land, and that the more of them we have roaming our plains, our mountains, in ranches, preserves and public lands across this country the better off our planet will be. 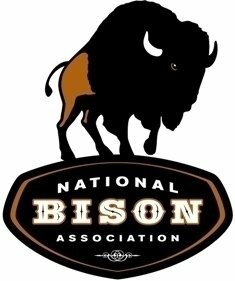 Consumers are facing an unfair shameful business practice, inferior water buffalo products, both meats and leather goods have been imported into the U.S. and marketed as "Wild Buffalo - Free Range"
Bison producers have worked hard to earn the public’s trust and working even harder to restore bison to our great land. We do not want that trust compromised by mislabeled meat and imported leather goods. We know we are "The Buffalo Wool Company" and that is slightly misleading in itself, I don't know if you have heard why we decided to take this historic name, it might be written upon our site somewhere, or maybe the next time we see you, we can tell you the story, it is kinda fun. But we do label all our products made with "American Bison"